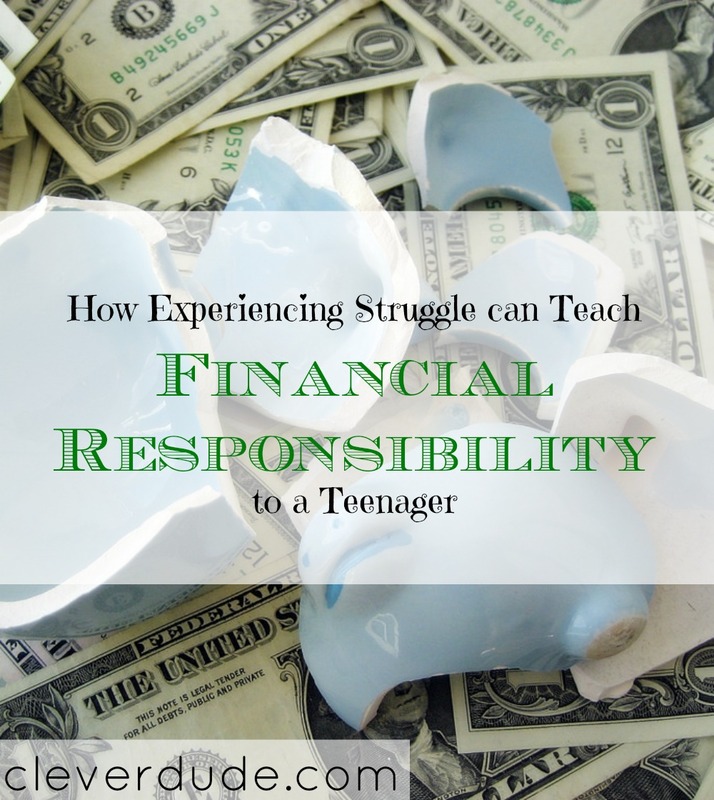 Raising a responsible, financially savvy teenager can be challenging. There are conflicting interests at every turn. Finding a balance between the want for them to have everything they need and want, allowing them to be independent, and just sitting them down and teaching them skills to be successful to be an adult can be extremely difficult. In preparation for heading off to college in just a few short months, my son has compiled a list of things he wants to buy for his dorm room, and for general college life. He had also talked about quitting his job a few weeks before heading off to college as sort of a last blast of fun with his friends without responsibility. He also spoke that he would just see how college goes before he decided if he would look for a job on campus as we had suggested. Finally, he took a short trip out of state to visit a friend of his. While he was visiting his friend, my wife suggested we put some funds in his bank account to help him out. I disagreed, seeing an opportunity for him to learn a lesson. Plus, our son had explicitly declined our offer to give him some extra cash for his trip. He wanted to pay for it himself. She trusted I knew what I was trying to accomplish, and waited for my prediction to unfold, which it did. Perfectly. Not Quitting Job: He decided that he would work right up until the weekend before he moves into the dorms. The further out he pushes his end date, the more money he can earn. Not Being Picky About His Shifts : He had previously told his manager that during the summer he’d prefer to work only morning shifts so he could have his evenings free. He now told his boss that he was willing to be scheduled for any shift they had available. This will maximize the number of shifts he will be scheduled for, again increasing his income. Initiate Contact Regarding On Campus Job : He had sent in his resume and application to work at the on campus IT help desk. He hadn’t heard back, but wasn’t planning on taking any further action. After realizing his financial position, he drafted and email politely reminding the IT director that he had sent a resume, and asking if any positions were available for the fall. I believe by not handing him cash when his funds started to become depleted, it caused him to really reflect upon his finances. He actually stated that he didn’t want us to give him any more money, and in parallel took the initiative not only to put in more time at his current job, but to work towards having a job when he moves on campus in a few months. A little bit of struggle has lit a bit of a fire beneath him, making him realize that being independent requires a little bit of effort. How about you, Clever Friends, have you experienced some financial struggles that helped you become more financially responsible? Great article, Brock. Thanks for sharing the financial experience of your teenager! I definitely agree that struggle teaches financial responsibility which is why my interest in personal finance started at an early age! Seeing the struggles of the adults around me galvanized me to take control of my financial life and work hard to earn what I want. It sounds like your son is making great choices – keep up the good work! Thanks for your comment, Crista! It’s interesting to me that you were aware of the struggles of the adults around you, many parents/adults try to hide their financial issues from others (especially their kids). Sometimes it is impossible to hide, though. I’m impressed that awareness resulted in you taking pro-active measures to make sure you didn’t end up down the same road. Thanks again for sharing your thoughts! My college student started college on the “don’t be ridiculous, but we’ll take care of your financial needs” plan, and after a year of showing that she wasn’t, she got put on a fixed allowance, to cover tuition, room, board, books etc. Changed her spending habits real fast. The IT desk sounds like a great student job. I found when I was a student that most kids in positions like that were able to do homework and study around taking calls and doing what they needed to be doing. Sometimes the hardest and best thing you can do as a parent is to let your child figure something out for themselves. Sounds like your teenager learned some valuable lessons here. Smart move! It’s so tempting to save our children from themselves, but they’re so much better off learning these lessons while they have the safety net of us parents. I’ve been practicing this for years, (practicing, because it’s hard!) and we’ve already seen it paying off here.